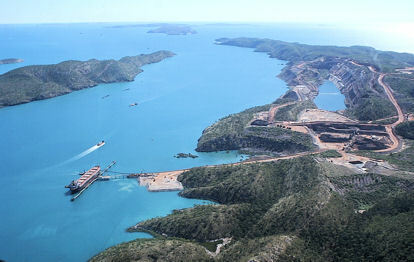 Koolan Island is an island off the Kimberley coast of Western Australia in the Buccaneer Archipelago. 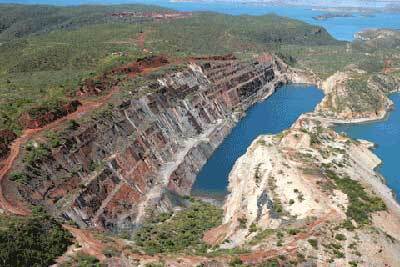 It is about 1,900 km north of Perth, and about 130 km north of Derby. 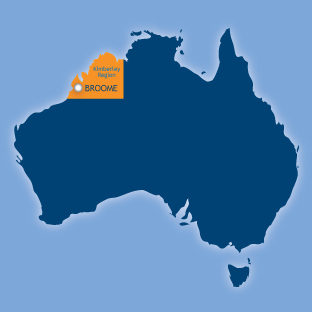 It holds deposits of high grade iron ore.
At its peak, Koolan Island had a population of 950 people and had a school, police station, recreation facilities and shops. It had the world's then-longest golf course hole an 860 yards par 7 number 6 which doubled as the island's air strip. 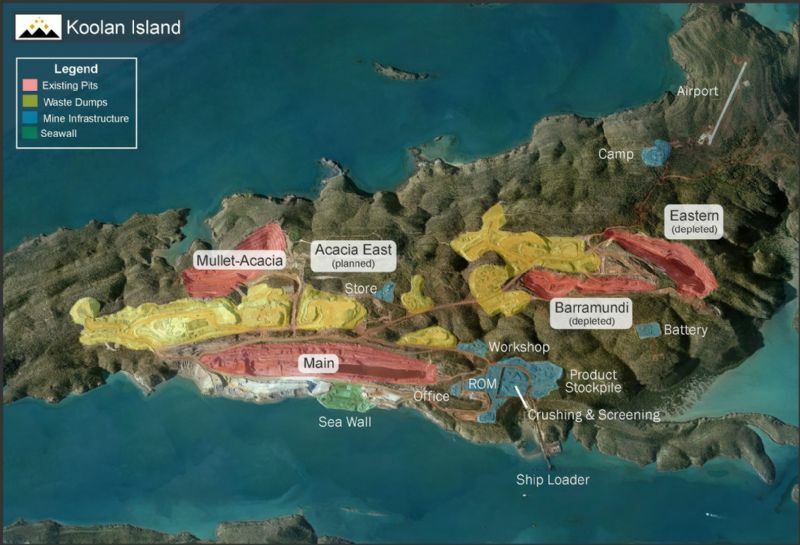 When BHP ceased mining operations on the island in 1993 they flooded the main pit to the ocean by blasting part of the hanging wall. This has meant that the pit has been filled with about 10 billion litres of seawater, with a significant marine eco-system forming within the bounds of the former working pit. 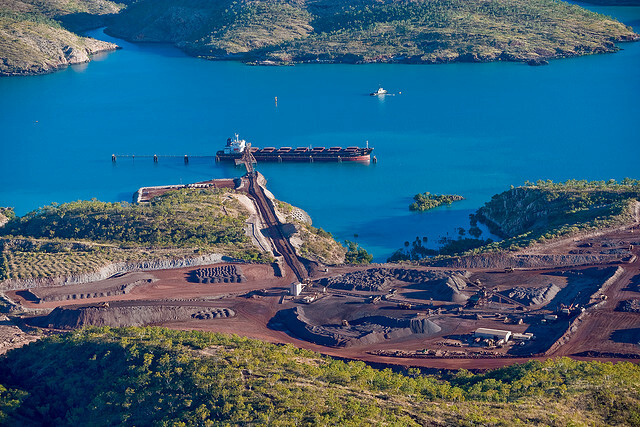 Due to the dense nature of the marine fauna within the Main Pit, Mount Gibson Iron utilised numerous substantial blasts within the water filled pit in order to extract all marine creatures before dewatering operations commenced. 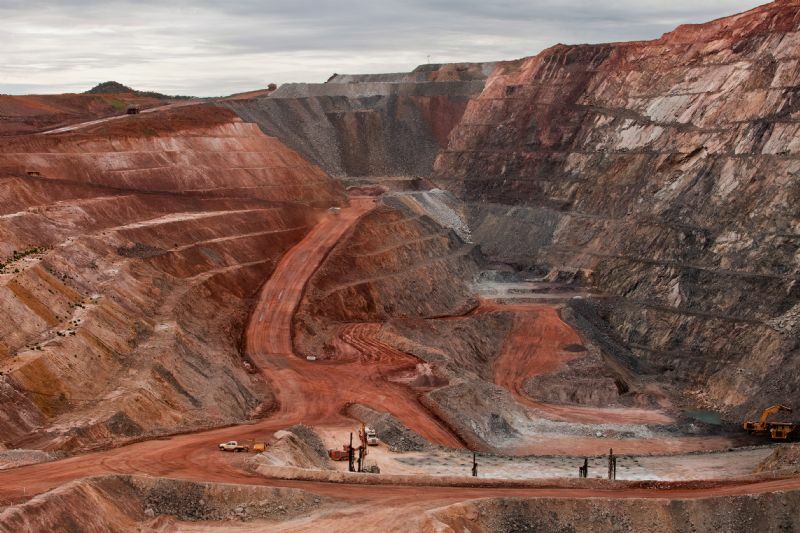 The pit will subsequently be dewatered in order to allow the rich ore reserves to be mined once again. 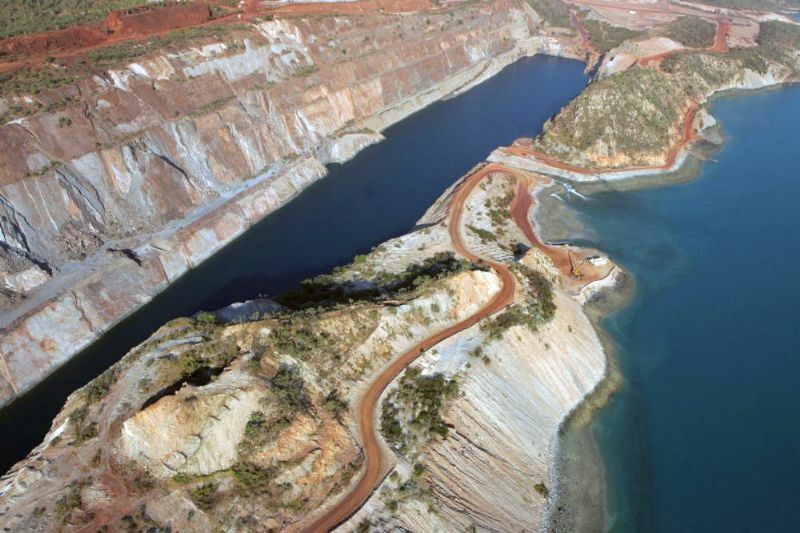 Koolan iron ore is very high quality and low in impurities, and Mount Gibson Iron planned to undertake dewatering operations in order to allow the rich ore reserves to be mined once again.